We are taking a break from reading the first-rate Buffer Zone Contest entries that are starting to come in by catching some of the Sochi Winter Olympics. 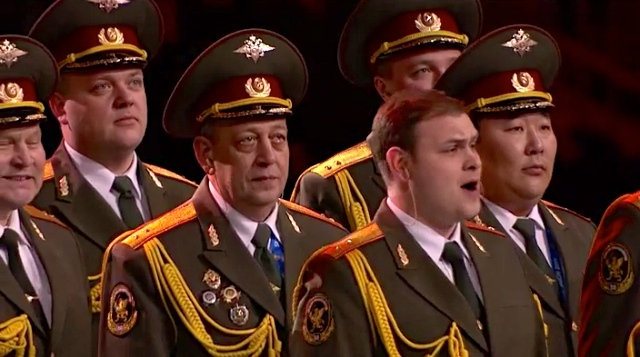 I have always found Olympic spirit, dedication and talent of the athletes awe-inspiring, so this performance of “Get Lucky” by the Russian Police choir at the opening ceremony seems kind of out of place. Out of place and hilarious. First, the song choice is questionable at best. Second, could the choir members, other than a few singers, look more uncomfortable? This entry was posted in Uncategorized and tagged #amwriting, #blog, #book, #bufferzone, #choir, #community, #contest, #crazy, #dysfunctional, #family, #hilarious, #humor, #humour, #NBC, #Olympics, #OpeningCeremony, #police, #Russian, #Sochi, #song, #strange, #winter by thebufferzoneday. Bookmark the permalink. Be sure to watch the chorus members! Their faces just crack me up. Definitely out of place…what were they thinking?